Why a whole segment on Victor Oladipo? Well, you can't get the whole "Oladipo" picture in just 20-second soundbites. 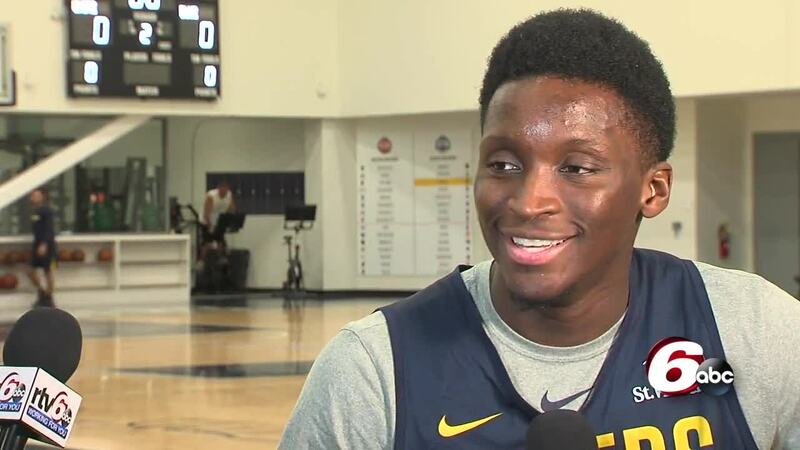 INDIANAPOLIS -- Victor Oladipo is a man of many talents, and he added "RTV6 Sports Co-Anchor" to that list Monday night. "Vic on 6" premiered during RTV6 News at 6 p.m. with Dave Furst and Victor Oladipo. Why a whole segment on Victor Oladipo? Well, you can't get the whole "Oladipo" picture in just 20-second soundbites. Watch the video above to see the premiere and make sure to check out 'Vic on 6' each week on RTV6 News at 6 p.m.